As a pioneer in the drug transporter field for 15 years, SOLVO is dedicated to exploring the science of transporters and their role in xenobiotic efficacy and safety. With frequent Webinars hosted by respected scholars and professionals, as well as numerous peer-reviewed publications, our commitment and scientific contribution to the transporter field is well recognized. 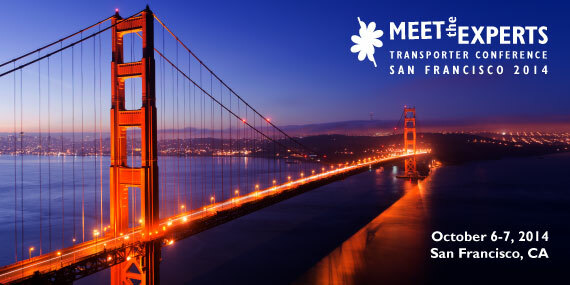 After the great success of our first event in SOLVO’s Meet the Experts: Transporter Conference series in Budapest, we are pleased to announce that the second event will be held in San Francisco on 6-7 October, 2014. With the Meet the Experts: Transporter Conference series, we took our commitment to the transporter field to a new level. The sessions will focusing on the most relevant and up-to-date aspects of transporter science and industry applications. The Embassy Suites San Francisco Airport – South San Francisco hotel is conveniently located 3 miles from San Francisco Airport (SFO) and 10 miles south of downtown San Francisco. Enjoy spacious, contemporary accommodations in this all-suite hotel, where a separate living area and bedroom are standard, and relax or work in a flexible space that has WiFi and convenient, delicious dining options at your fingertips. The following speakers are presenting at the conference. Dr. Reina Bendayan is a Professor, Department of Pharmaceutical Sciences, Leslie Dan Faculty of Pharmacy, University of Toronto. After obtaining a Bachelors of Sciences in Pharmacy and a Hospital Pharmacy Residency Program at the University of Montreal, Dr. Bendayan completed a Doctor of Pharmacy at the University of Florida and a three year Medical Research Council Post-Doctoral Fellowship Program in Clinical Pharmacology and Membrane Cell Biology at the University of Toronto. Dr. Bendayan’s research program at the University of Toronto is primarily focused on Membrane Transport and Therapeutics with an emphasis in the field of HIV/AIDS Antiviral Drug Transport and Regulation in the central nervous system. She obtained a five-year young career investigator award from the Ministry of Health of Ontario and her research program is primarily funded by the Canadian Institutes of Health Research, Canadian Foundation for AIDS Research and the Ontario HIV Treatment Network, Ministry of Health of Ontario. She is the author of over 85 peer-reviewed manuscripts and has supervised many graduate students and post-doctoral research fellows. She is a member of several scientific associations, in particular, the American Association for the Advancement of Sciences (AAAS), American Society of Pharmacology and Experimental Therapeutics (ASPET), American Association of Pharmaceutical Sciences (AAPS), International Blood-Brain Barrier Society (IBBS), International AIDS Society and Canadian Society of Pharmaceutical Sciences (CSPS). Dr. Bendayan was elected FELLOW of the American Association of Pharmaceutical Sciences (November 2010) and received the Association of Faculties of Pharmacy of Canada (AFPC) Research Career Award (June 2013). She is also the recipient of a five-year Career Scientist Award from the Ontario HIV Treatment Network, Ministry of Health of Ontario (2011-2016). Dr. Bendayan served as Graduate Coordinator (1998-2003), Chair and Associate Dean Graduate Education of the Graduate Department of Pharmaceutical Sciences (July 2005-July 2011) and as Acting Dean of the Leslie Dan Faculty of Pharmacy (January 2007-July 2007). BROUWER R. Kenneth, PhD., RPh. Dr. Brouwer is Chief Scientific Officer at Qualyst Transporter Solutions, a company focused on providing solutions to transporter questions that arise during drug discovery and development in the areas of hepatic drug transport (B-CLEAR®), drug interactions, and evaluation of hepatotoxicity. Prior to this, Dr. Brouwer served as Executive Director, Drug Metabolism and Pharmacokinetics, at PPD Discovery, USA, where he had responsibility for overseeing the scientific and administrative operations within the preclinical groups at PPD Discovery, including the areas of metabolism, pharmacokinetics, toxicology; absorption technologies, and Pharmazyme groups. Before joining PPD Discovery, he served as Director, Preclinical Development, Drug Metabolism and Pharmacokinetics at GlaxoSmithKline. In addition, he was responsible for the drug metabolism and pharmacokinetics developability strategy leading to candidate selection, review of drug candidate project plans prior to candidate selection, and developing and implementing process to ensure a smooth transition from candidate selection to full development. Over his 18 year tenure at GlaxoSmithKline, Dr Brouwer held positions of increasing responsibility in both Clinical Pharmacokinetics and Drug Metabolism. Dr. Brouwer has successfully lead and directed large international multidisciplinary project teams to support the product development of 4 high priority development candidates. He has been the Drug Metabolism Project Team Leader for 12 Development compounds and 6 Discovery compounds. He has served as the Pharmacokinetics and Drug Metabolism expert at FDA panel presentations for GlaxoSmithKline, and has authored or co-authored over 400 company reports to support ERC, CTX, IND, NDA and MAA regulatory submissions. Dr. Brouwer has over 60 publications in peer reviewed journals, and is the holder of 3 patents. Dr. Brouwer serves on the Editorial Advisory Board for the Journal of Pharmaceutical Sciences, and is a reviewer for several additional journals. Dr. Brouwer is an adjunct faculty member in the Division of Molecular Pharmaceutics at the School of Pharmacy, University of North Carolina. Murat Cirit, PhD, is a Research Scientist at MIT & scientific lead of the Translational Systems Pharmacology Team and System Integration Task in the DARPA-BIOMIMETICS program (“Human Physiome on a Chip”) led by Linda Griffith. MIT and various institutions collaborate in creating a platform that supports ten interacting micro-physiological systems (MPS) and associated sensors for drug testing. Murat completed his PhD at NCSU focusing on systems biology of growth factor-mediated signal transduction pathways. After completion of his PhD, he worked in the pharmaceutical industry focusing on preclinical drug discovery for oncology. He brings an interdisciplinary and systematic approach through his extensive experimental knowledge and computational modeling with an understanding of biological, physiological, and physical processes. His main research experience is systems pharmacology, systems biology, tissue engineering, cell biology and signal transduction networks. His current focus as the scientific lead is integrating various scientific fields to build interacting MPSs by interfacing platform engineering & tissue engineering for pharmacology studies. Dr Ellens received her PhD from the Department of Physiological Chemistry at the University of Groningen, the Netherlands. Her thesis project involved investigation of the utility of liposomes as carriers for sustained release of drugs in cancer chemotherapy. She then went on to do a postdoctoral fellowship in the Department of Pharmacy and Pharmaceutical Chemistry at the University of California, San Francisco, investigating molecular mechanisms of membrane fusion. Subsequent to her postdoctoral fellowship she joined the Drug Delivery Department at SmithKline Beecham (now GlaxoSmithKline) and later transferred to the Department of Drug Metabolism and Pharmacokinetics. She is currently Director of the Mechanism and Extrapolation Technologies (MET) group in the DMPK Department at GlaxoSmithKline, Philadelphia. The MET group performs in vitro studies to investigate mechanisms of absorption, distribution, metabolism and elimination of drug candidates to assess the risk, and explain the mechanisms, of clinical drug-drug interactions. She has published over 50 papers in refereed journals, including 8 papers on Pgp transport kinetics. She also served as outside reader on several PhD committees at Drexel University. William F. Elmquist is currently Professor and Department Head at the University of Minnesota, Department of Pharmaceutics. He received his pharmacy degree at the University of Florida, and Pharm.D. and Ph.D. (pharmacokinetics) from the University of Minnesota. His research has studied the influence of active efflux transporters in the blood-brain barrier (BBB) on CNS drug distribution. An important project currently underway is examining the determinants of anticancer drug permeability in the blood-brain barrier to improve the treatment of brain tumors. Long-term objectives of Dr. Elmquist's research include examining expression and regulation of transport systems in key tissues that influence drug disposition, and how variability in expression, either genetically or environmentally controlled, may contribute to variability in drug response in the patient. Dr. Elmquist has long been a consultant to the pharmaceutical industry and the NIH, served on many journal editorial boards, and is a Fellow of the American Association of Pharmaceutical Scientists (AAPS). Dr. Kathy Giacomini is Professor in the Department of Bioengineering and Therapeutic Sciences. She received her Ph.D. in Pharmaceutics from the State University of New York at Buffalo and completed a post-doctoral fellowship at Stanford University. Dr. Giacomini is considered a leader in the field of pharmacogenomics of membrane transporters. She led the discovery of coding region variants of about 50 membrane transporters that play a role in drug response in ethnically diverse populations. Dr. Giacomini and her group functionally characterized over 100 transporter variants in cells, discovering both gain of function and loss of function variants that may lead to variation in drug response. She has received numerous awards for her research including the Dawson Award of the American Association of Colleges of Pharmacy; the Research Achievement Award in Drug Metabolism from the American Association of Pharmaceutical Scientists and the Rawls Palmer Award from the American Society for Clinical Pharmacology and Therapeutics. She is an elected member of the National Institute of Medicine. 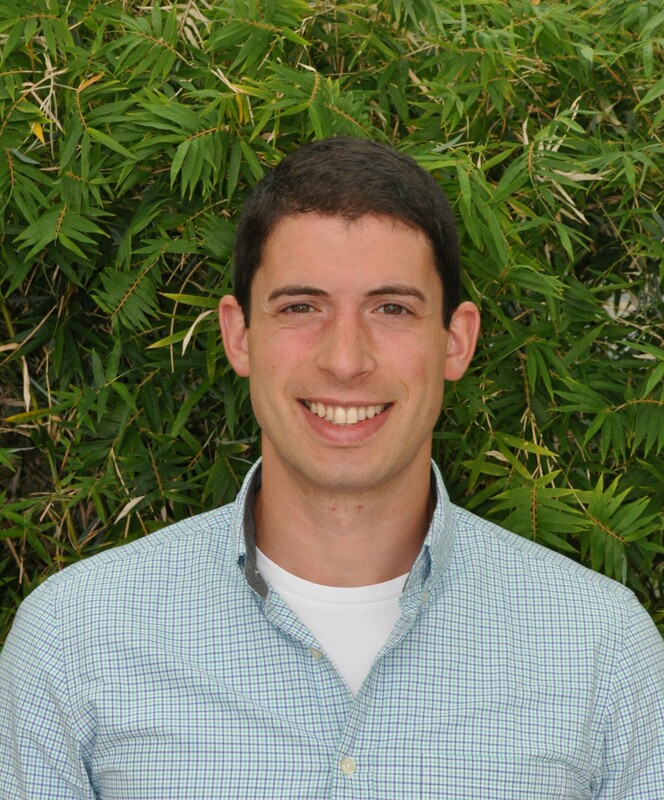 Ethan Lippmann holds a bachelor’s degree in Chemical Engineering from the University of Illinois at Urbana-Champaign and a doctoral degree in Chemical Engineering from the University of Wisconsin-Madison. His dissertation focused on using various stem cell sources to model the blood-brain barrier (BBB) in vitro. Notably, under the supervision of Eric Shusta and Sean Palecek, he devised a method to differentiate human pluripotent stem cells (hPSCs) into endothelial cells possessing a blood-brain barrier (BBB) phenotype. Currently, he is a postdoctoral fellow at the Wisconsin Institute for Discovery where he is developing novel hPSC differentiation methods to facilitate discrete control of neural fates. Ashim K. Mitra received his Ph.D. in Pharmaceutical Chemistry in 1983 from the University of Kansas. He joined the University of Missouri-Kansas City in 1994 as Chairman of Pharmaceutical Sciences. He is also Vice Provost for Interdisciplinary Research, UM Curators’ Professor of Pharmacy, Co-Director, Vision Research Center UMKC School of Medicine. He has over 30 years of experience in the field of ocular drug delivery and disposition. He authored and co-authored over 300 refereed articles, 60 book chapters in the area of formulation development and ocular drug delivery, awarded 9 patents, and presented (along with his research group) well over 500 presentations/abstracts at national and international scientific meetings. This work has attracted over six million dollars in funding from government agencies such as the National Institutes of Health (NIH), Department of Defense (DOD) and pharmaceutical companies. He served as Co-chair, of the USP Council of Experts, General Chapter <771> Ophthalmic Preparations Expert Panel U.S. Pharmacopeia. In 2007, he was named one of two recipients for the ARVO/Pfizer Ophthalmic Translational Research Award for excellence in the areas of research and fundamental scientific discoveries, including concepts and novel technologies, leading to clinical evidence of diagnosis, prevention, or amelioration of the pathological eye and/or an understanding of the normal vision processes. He is also the recipient of a numbers of research awards from NIH, AAPS, AACP, and numerous pharmaceutical organizations. In February 2014 he received the Chancellor’s Award for Excellence in Graduate Mentoring from the University of Missouri-Kansas City He has served as a regular member of the National Institute of Health (NIH) Pharmacology & Toxicology Study Section and on the NIH Gene and Drug Delivery Study Section. He also serves on numerous scientific editorial boards. Dr. Mitra’s laboratory has been engaged in ocular drug delivery for nearly 30 years. Current efforts are directed to: (1) delineate mechanisms of transscleral permeation of both small and large molecules, (2) develop new strategies to deliver neuroprotective and antiproliferative agents from topical eye drops, (3) to design new biopolymers for long-term topical and subconjunctival administrations and finally, (4) delineate the expression of various transporters and receptor on the cornea, blood-retinal and blood aqueous barrier and utilize these cell absorptive mechanisms to deliver small and large molecule therapeutics. Dr. Micheline Piquette-Miller is a Professor within the Leslie Dan Faculty of Pharmacy at the University of Toronto. Dr. Piquette-Miller completed a pharmacy degree and PhD in Pharmacokinetics at the University of Alberta and continued post-doctoral training in the area of drug transporters at the University of California in San Francisco under the guidance of Dr. Giacomini. Dr. Piquette-Miller’s research is primarily focused on understanding the mechanisms involved in the pathophysiological regulation of drug transport proteins and how this impacts drug disposition. She has been the recipient of numerous prestigious national and international research awards. She has also held positions on the board of directors and executive councils of the American Society of Clinical Pharmacology and Therapeutics, the Canadian Society of Pharmaceutical Science, the Canadian Society of Pharmacology and Therapeutics and is an Associate Editor of the preeminent journal- Clinical Pharmacology and Therapeutics. John D. Schuetz, PhD, is a Member and Vice Chair of the Department of Pharmaceutical Sciences at St. Jude Children’s Research Hospital in Memphis, Tennessee. He holds Adjunct positions at the University of Tennessee in the Department of Pharmaceutical Sciences and Department of Microbiology and Molecular Cell Sciences at the University of Memphis. He received his PhD in Biochemical Pharmacology/Toxicology from The Medical College of Virginia/Virginia Commonwealth University in Richmond, Virginia, and joined St. Jude Children’s Research Hospital in 1992. His main research interest is investigating the role of ABC transporters in normal physiology and pathophysiology. His lab’s current studies are primarily elucidating how transporters affect the metabolic pathways in cancers and the role of bile acids in pathology. To understand how ABC transporters contribute to biological processes and pathological conditions, the lab uses cell culture model systems as well as conventional and conditional gene knockout models. Dr. Schuetz is an Associate Editor of Drug Metabolism and Disposition and a senior editor for the International Journal of Biochemistry and Molecular Biology. He has authored over 130 articles in peer-reviewed journals and contributed several book chapters. Alex Sparreboom is an Associate Member in the Department of Pharmaceutical Sciences at St. Jude Children's Research Hospital. He received his BSc (1989), MSc (1993), and PhD (1996) in Pharmacy from Utrecht University (Utrecht, the Netherlands), and he was previously affiliated with the Daniel den Hoed Cancer Center at Erasmus University (Rotterdam, the Netherlands) and the National Cancer Institute. Alex Sparreboom has published 315 peer-reviewed articles and 17 book chapters, which have been cited >14,000 times (h-index, 69). He is presently Senior Editor of Clinical Cancer Research and Associate Editor of Clinical Pharmacology & Therapeutics, and has previously served on the scientific program committees of the annual meetings of AACR, ASCPT, and ASCO. His current research interests focus on the role of solute carriers in anticancer drug disposition and toxicity, and his laboratory is funded by grants from the NIH and the American Lebanese Syrian Associated Charities (ALSAC). Philip Tan has been a Principal Scientist in the Research & Development department at Ardea Biosciences for four years. His work includes research on the molecular interaction of Ardea’s potential gout therapies with the URAT1 uric acid transporter, drug-drug interactions mediated by uric acid transporters, and various preclinical and clinical development support functions. Dr. Tan has over 15 years of experience in the pharmaceutical/biotech industry as a research and drug discovery scientist, with prior work in inflammation, cancer, neurodegeneration, viral disease, gene therapy, and odorant detection. He received a Ph.D. in Biological Chemistry at UCLA, and trained as a postdoctoral scholar in the field of neurotransmitter packaging and release at UCSF and The Scripps Research Institute, including research on the vesicular neurotransmitter transporters. Dr. Thakker is the Ferguson Distinguished Professor and Associate Dean for Economic Development and International Partnerships at the UNC Eshelman, School of Pharmacy, the University of North Carolina at Chapel Hill. From 1998 to 2008, he served as the Associate Dean for Research and Graduate Education. He is a co-founder of Qualyst, a company formed based on the technologies invented at the UNC Eshelman School of Pharmacy, UNC-Chapel Hill; in addition, he has also co-founded a drug discovery-development company, Sphaera Pharma. Prior to joining UNC in 1996, Dr. Thakker spent (i) eight years at Glaxo Inc. where he was Director of Drug Metabolism Department, (ii) four years at the Center for Biologics, FDA, and (iii) eight years at the National Institutes of Health. He obtained Batchelor of Pharmacy from Bombay University, India, M.S. in Pharmaceutical Chemistry from Columbia University, New York, and Ph.D. in Biochemistry from the University of Kansas at Lawrence. Dr. Thakker’s current research interests are (i) mechanisms of drug transport across intestine, (ii) novel intestinal absorption mechanism and pharmacology of metformin as antidiabetic and anti-cancer drug, (iii) design of absorption enhancers via epithelial tight junction regulation, and (iv) optimizing pediatric dosing by study of drug metabolism and transport in children and adults. In the past he has worked on methyl transferase enzymology, stereoselectivity of cytochrome P-450 enzymes, chemical carcinogenesis and metabolic activation of polycyclic aromatic hydrocarbons. He has published over 160 peer reviewed papers, reviews and book chapters and co-edited two books. Amar Thyagarajan is currently a Manager of Scientific Marketing at Taconic. He manages Taconic’s tADMET and neuroscience product portfolios. His technical background is in cell biology, neuroscience, and chemical biology and he earned his Ph.D. at the State University of New York, working on genetic regulatory networks involved in brain development and in neurodegenerative disorders. Maciej Zamek-Gliszczynski has over a decade of industry (Eli Lilly and GSK) experience in supporting DMPK and PK/PD aspects of oncology, endocrine, and infectious disease programs at all stages between discovery, clinical development, and post-marketing. He is leading the transporter strategy for support of the GSK portfolio. His research is focused on clinical PK/PD and DDI implications of drug and metabolite transport. Dr. Zamek-Gliszczynski is the author of over 45 manuscripts (>2,800 cites, h¬-index = 23) and over 80 presentations on this subject. He represents GSK on the IQ Drug Metabolism Leadership Group. Dr. Zamek-Gliszczynski is a member of the editorial boards of Pharmaceutical Research and Drug Metabolism and Disposition. He servers on the International Transport Consortium (ITC) steering committee, is chair of AAPS PK/PD/Drug Metabolism (PPDM) section, and he was the past chair of AAPS Drug Transport Focus Group. He was a co-organizer of numerous AAPS Workshops on Drug Transporters in ADME and ITC Workshops. Dr. Zamek-Gliszczynski is also an adjunct professor at the University of North Carolina, Eshelman School of Pharmacy, where he lectures in the graduate/post-graduate level PK/PD course and serves as external advisor on dissertation committees. You can access the presentations by clicking on the individual speakers, or by navigating to this page. Please note that you must be logged in to see the content.